The Bega 33449 wall light LED should appeal primarily to those who appreciate a restrained design. The angular luminaire made in Germany captivates with its clear geometric shape, which does without any frills. Instead, the 33449 wall light LED exudes a subtle flair – only the thick-walled crystal glass diffuser formally stands out slightly. The Bega 33449 furthermore scores points for its high-quality composition, which is made up of cast aluminium, aluminium and stainless steel components. This wall lamp is available in graphite and silver. A simple metal cube and a square diffuser glass form a harmonious combination. The ceiling light is equipped with a precious diffuser made of crystal glass, which eliminates any possible glare. 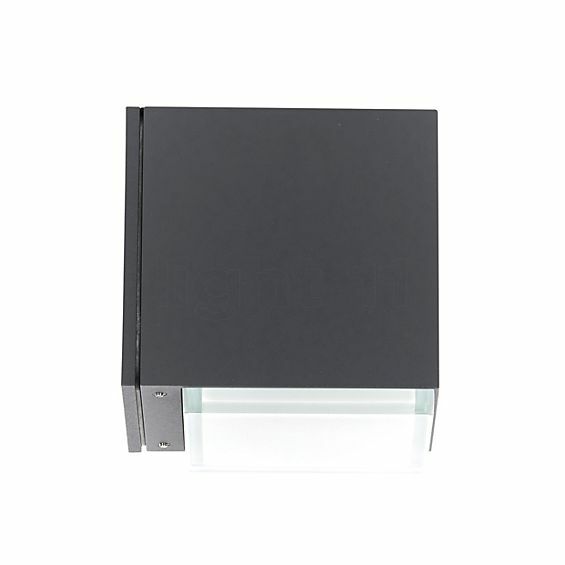 The Bega 33449 wall light LED covers the wall surface below with its downward directed light. The light is reflected and scattered into the surroundings. The luminous flux released is 1.230 lumens and the power consumption is 10.5 watts. As a result, operating the 33449 wall light LED reduces the burden on your wallet, the climate and the environment. Another seal of quality is the enormous service life of 50,000 hours, which makes the 33449 wall light a very economical light with very long maintenance intervals. In accordance with protection class IP64, the 33440 LED wall light is both dustproof and protected against splashing water on all sides. Tell other customers and us about your experiences with the 33449 - Wall light LED ! The Bega 33449 is used in many ways. One place of use is the house entrance, where this LED wall light provides gentle lighting for orientation. Thus, you won't be in the dark the next time you're looking for the right key for your front door. The 33449 wall light LED by Bega is also recommended for use on a terrace, where it accompanies social evenings outdoors with cosy, glare-free light. 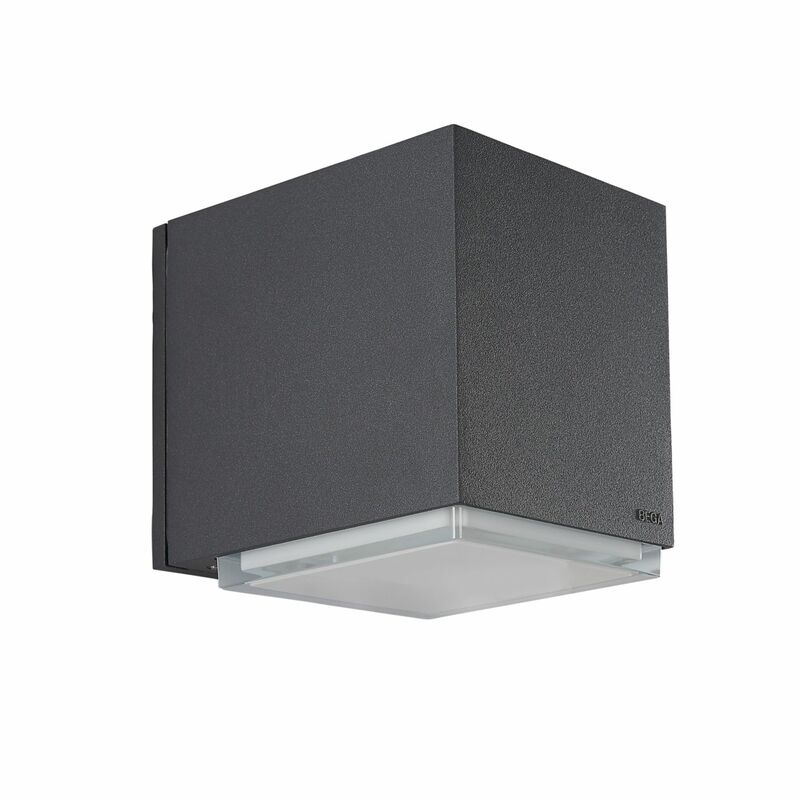 In addition, this outdoor luminaire is suitable for accentuating facades, which are effectively staged by the Bega 33449.